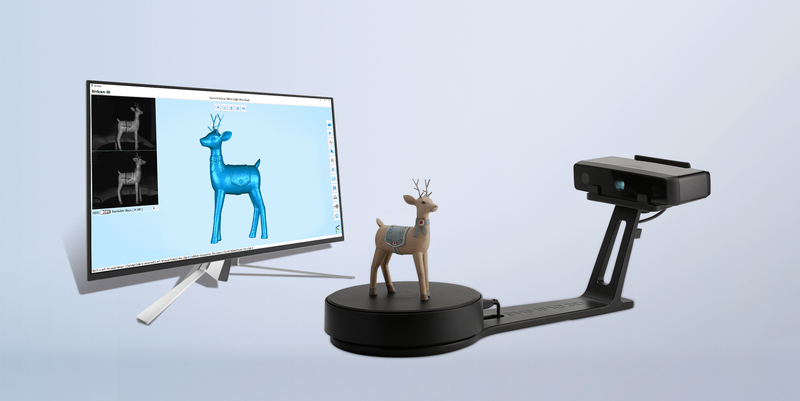 The PrintLab Innovate Bundle comes with an abundance of industry-leading hardware, curriculum and teacher training materials to ensure educators have the best tools to teach CAD design, 3D printing and 3D scanning. To be sent the bundle brochure and full specification, simply add the product to your cart and enquire. The local PrintLab Partner will then be in touch with the relevant documents and information. At the heart of the bundle are 3 EinStart-C 3D printers. 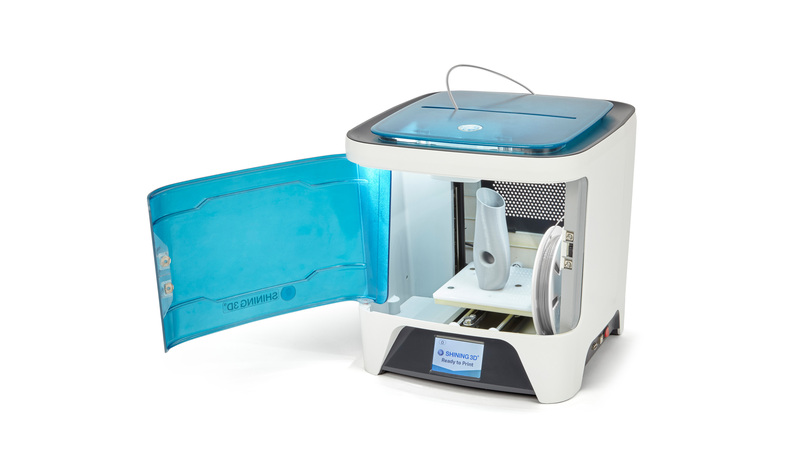 The EinStart-C is a stylish and compact desktop 3D printer, based on fused deposition modelling technology. The fully enclosed design and optimised structures enable the EinStart-C to continuously operate for hundreds of hours. The EinStart-C comes with a 250g reel of Shining3D PLA, an external reel holder for larger reels, troubleshooting videos and free slicing software (3DStar). Learning how to operate hardware is just the beginning when it comes to integrating 3D printing into the curriculum. There are many skills that teachers can acquire to enhance their abilities in the classroom. 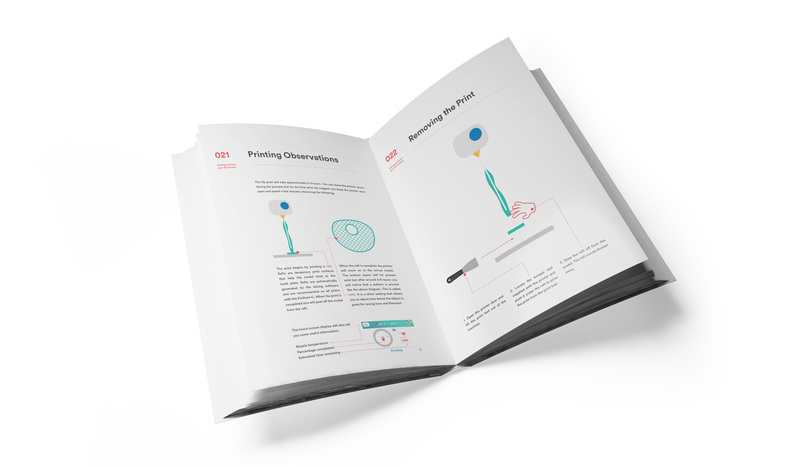 The PrintLab Teacher Training Handbook comes as a digital PDF file and is a comprehensive document that leads educators through their 3D printing journey. From learning about the industry and setting up the 3D printers to calculating material costs and CAD design, educators can be rest assured they will have the confidence to effectively teach 3D printing. 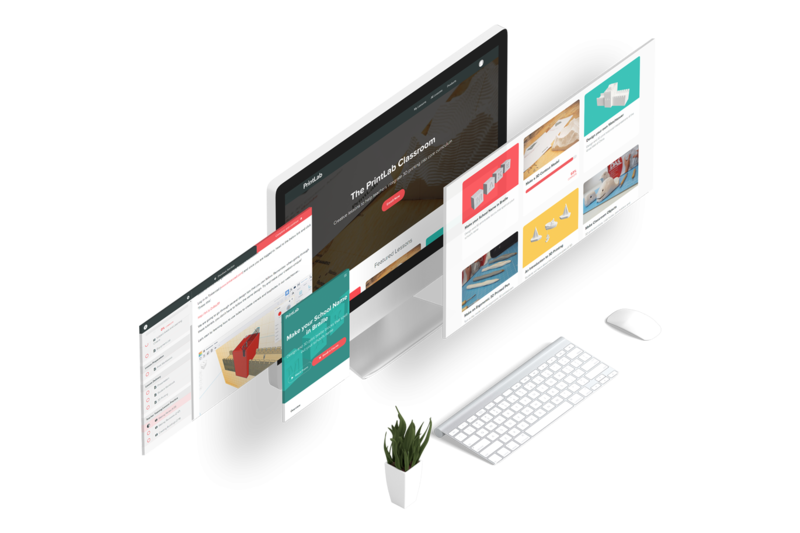 PrintLab Classroom is a creative, lesson plan portal for teachers looking to integrate 3D printing into core topics such as science, technology, engineering, arts, maths, computing, geography, history, languages and more. The PrintLab Innovate Bundle gives up to 5 teachers 12 months access to a whole range of creative projects and 2 new lessons will be added to the portal each month. 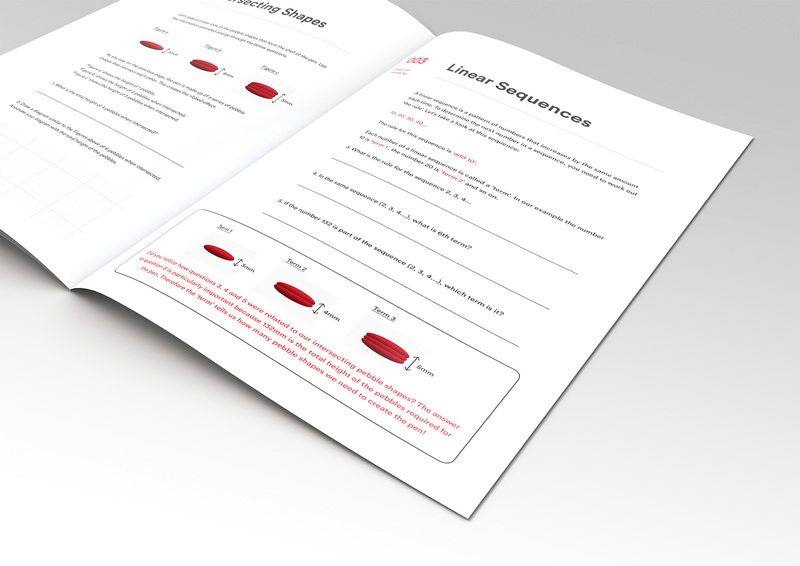 Featured lessons include 'Make your School Name in Braille', 'Make a 3D Contour Model', 'Make a 3D Population Graph' and many more! Kideville is a sustainable city design project, where much like in a game, each student is assigned a creative mission that takes them through a full design and project management process. 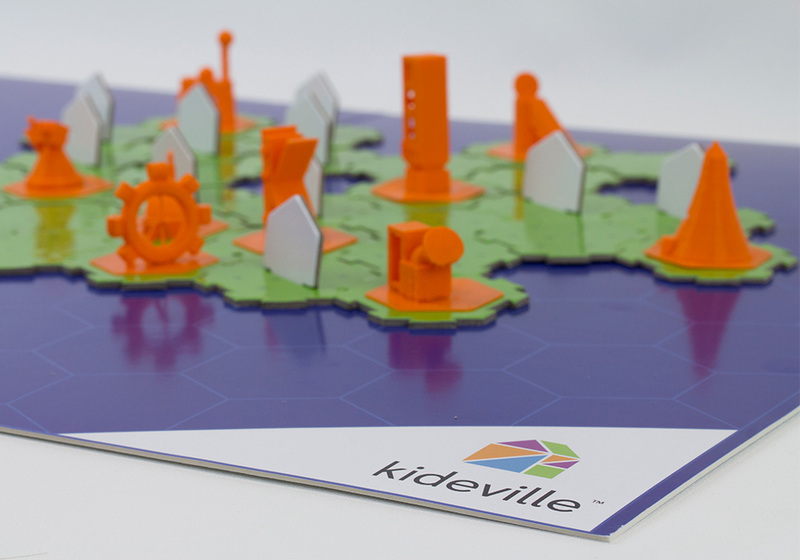 Taking in consideration that students have no background about 3d printing or 3d design, Kideville was a great product that introduces them to the fundamentals of 3d design and the engineering design process. Students should work collaboratively to accomplish the project but at the same time each has their own role to achieve within the project. In this 1 hour lesson, students design and print a functional pen. The lesson begins with a series of mathematical calculations on linear sequences. 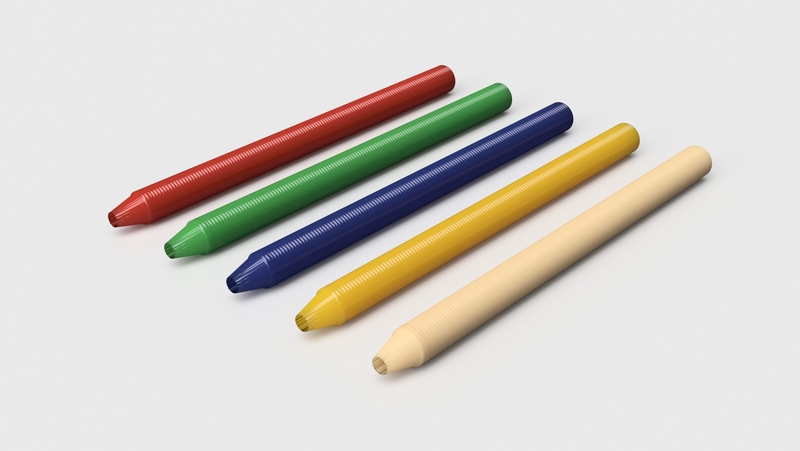 The calculations help students determine the measurements of the pen, which is designed in Tinkercad in the main part of the lesson. Finally, one of the pens is 3D printed and once complete, a Bic biro cartridge slots into the centre to make it functional. The lesson can be incorporated into the study of maths, computing, art & design and design technology. The material can be adapted for ages 7-16. For the full brochure and specification sheets, please add the product to your cart and enquire. The local PrintLab Partner will then be in touch with the relevant documents and details.